Atlas Shrugged Part II is opening this weekend. Want to check it out? Follow this link to find a theater near you. My wife and kids got me hooked on a series some of you may have heard of called The Walking Dead (and like the rest of the Walking Dead fans out there, I have to wait until October for the next season to begin as the characters have been left in quite a precarious situation) For those who haven’t heard of this series, basically Atlanta, GA (and as far as we know, the rest of the world) has been taken over by zombies (called “walkers” by most people who inhabit this world). 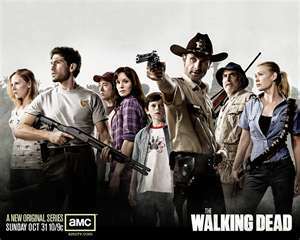 While the series does have many of the elements of the zombie genre, the story and the characters in the story are quite a bit more complex. 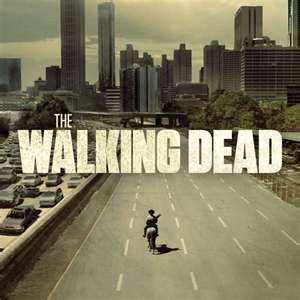 The story isn’t so much about the walkers as it is about the characters who not only have to survive this zombie apocalypse, but also manage to survive the other survivors and live with very limited resources. One thing that becomes very clear at the beginning of this series is that many of the societal rules quickly go out the window when under constant threat of flesh eating walkers. Paper money is of no practical use (other than to start a fire perhaps). Debit cards and credit cards are even less valuable as there is no way to access your worthless money. One other thing I noticed is that gold isn’t even a commodity that is of much use in this world. It is important to remember that gold is not used when economies fail. History shows that when an economy completely collapses, the first thing that appears is a black-market barter system in which people trade items for other items or services. In a primitive culture, items of utility often become the medium of exchange, and the same is temporarily true in a failed economy. A skill, a pair of blue jeans, or a tank of gas becomes very valuable, but not gold coins or nuggets. Usually a new government rises from the ashes, and new paper money or coinage is established. Gold will, at best, play a minor role, and the gold investor will be left with the sick feeling that real estate, canned soup, or knowledge would have been a better hedge against a failing economy. – The Total Money Makeover: A Proven Plan for Financial Fitness by Dave Ramsey (Thomas Nelson, 2003, 2007) p. 55. I don’t know that I fully agree with Ramsey here though I’m by no means an expert on the history of gold or monetary policy. It seems to me that as a new civilization emerges from economic collapse, gold (and other commodities) would play a much greater role before people would accept any new fiat money. He seems to have a legitimate point, however; with regard to a collapsing or fully collapsed economy. This is certainly the case in The Walking Dead. The resources most necessary to survive in this world are water, food, shelter, firearms, ammunition, medicine, fuel, spare parts, etc. Without these items, you aren’t going to survive for very long. Under these circumstances, who would trade a shotgun and ammunition for a bar of gold? I sure wouldn’t. I might trade a shotgun, assuming I already have enough firearms to hold the flesh eaters at bay, for some food and water. Better yet, I might offer to provide security for a few nights in exchange for food, water, and a temporary place to stay. This arrangement would continue as long as both parties agree. In the course of the series, these are the kinds of arrangements that are worked out. Security is a major concern because, despite apparent efforts by the federal government to impose martial law, the government failed* and the law of the jungle is now in full effect. Many resources such as firearms, water, auto parts, food, fuel, etc. are scavenged from those who were either killed or simply abandoned their property (finders’ keepers). Earlier in this season, the main characters find themselves at a dead end on the interstate as thousands of abandoned cars litter the road. Though on one hand this is very bad news, on the other, it’s an opportunity to scavenge whatever resources were left behind. At another point, a couple of the survivors make their way into an abandoned small town where they hit the jackpot in finding an abandoned pharmacy with a decent supply of prescription drugs. At the very end of this last season, the camera pans out to a prison near where the remaining surviving characters are camped out. What, if anything, can these refugees benefit from the prison? (I’m very interested to see where the story goes from here with the prison). “What about silver bullets, do they have any value?” you ask. Silver bullets are needed to kill ware wolves, not walkers. Ware wolves? Seriously, ware wolves? Now that would be ridiculous. *Or did it? Perhaps all the “important” people have been relocated to a secret and secure location while the citizens are left to fend for themselves. If Rep. Ron Paul has accomplished anything in his 2008 and 2012 presidential campaigns it would be the way he has educated the American public about monetary policy and the Federal Reserve. I’ve listened to on line lectures from the Cato Institute and read about monetary policy but more often than not its either over my head or bores me to tears. Paul manages translate the Fed’s policy and put into language people like me can understand and keep it interesting. Today’s hearing where Paul questioned Federal Reserve Chairman Ben Bernake is a case-in-point. My favorite part is when he asks Bernake if he does his own grocery shopping driving home the point about how his inflationary policies impact average people where it matters most (cost of groceries and fuel doesn’t go into determining the rate of inflation). Those of you that have been around the libertarian blogosphere for any length of time will recognize the name Dale Franks. His main writing gig is over at QandO, where he spends the bulk of his time writing about the economy. In addition, he’s a bit of a gunblogger, and runs a separate blog for motorcycles. At one point a few years ago I had noticed a link to a book Dale has written called Slackernomics: Basic Economics for People Who Think Economics is Boring. Given that I’m not the type who thinks economics is boring, but had enjoyed his blogging, I wanted to get a chance to read it. At that time, the book was only available in print at a price above $20. It took a spot on my “buy when I get around to it list”, and sat there for quite some time, but I never pulled the trigger. Then, more recently, it became avaiable for the Kindle at only $2.99 — I no longer had an excuse not to buy it. So onto the Kindle it went, and after several long months of sitting there taking up space, I’ve finally gotten around to reading it. Slackernomics is a primer on basic economic theory that, as the title suggests, is written for people who think economics is boring. It’s written in a convivial tone, and the illustrative examples that Dale uses reminds one more of Freakonomics than of Adam Smith. Don’t let that fool you, though — the book is not a “sideshow” like Freakonomics — it gets to the heart of the matter. I liken it to be similar to Henry Hazlitt’s “Economics in one Lesson”, but written for people who may not be interested in the more formal writing style of Hazlitt. In addition, having been written many decades after Hazlitt’s book, it’s obviously much more up to date. The book covers everything from price theory, minimum wage & rent control to monetary theory and the business cycle, Keynesianism, taxes / deficit spending, savings & investment, and economic statistics. He continues with a great defense of free trade and a bit of entrance into politics (touching a tad on public choice theory). In all, for being a relatively short book, he hits all the major notes that anyone looking for an introduction to economic thought would need to learn. But the big question, for readers of this blog, is whether it’s worth it to buy. “Am I going to learn anything new?” And I can honestly say that despite the fact that I read economic books & blogs for leisure, and that I’ve blogged a fair bit about economics myself, I learned some new things from Slackernomics. Dale’s fourth chapter, unwinding the mess of the myriad of economic reports and statistics he’s constantly posting on Twitter, Google+, and at QandO, was wonderful. I’ve looked at many of these reports merely reading analysts *reaction* to the numbers (Higher jobless claims? How unexpected! ), but rarely understood which group (public or private) was putting out certain reports nor how they all fit together. For me, a layman who is conversant on a lot of economic theory but not as perhaps on the technical reports, I have never seen an explanation of the reports that come out each week and each month as simple and readable as that chapter. That was more than worth it for my $2.99. So my recommendation is simple: at $2.99, if you have a Kindle (or a device with a Kindle app), it’s hard to pass it up. You’re almost assured to get your money’s worth from the book. Even further, if you know someone in high school or college that may not have received good schooling in economics (which is, unfortunately, most of them), and who isn’t exactly about to tackle The Wealth of Nations, find a way to get them a copy of Slackernomics. Dale’s writing style will keep them interested. All in all, it’s a book that lives up to its title, and goes well beyond.